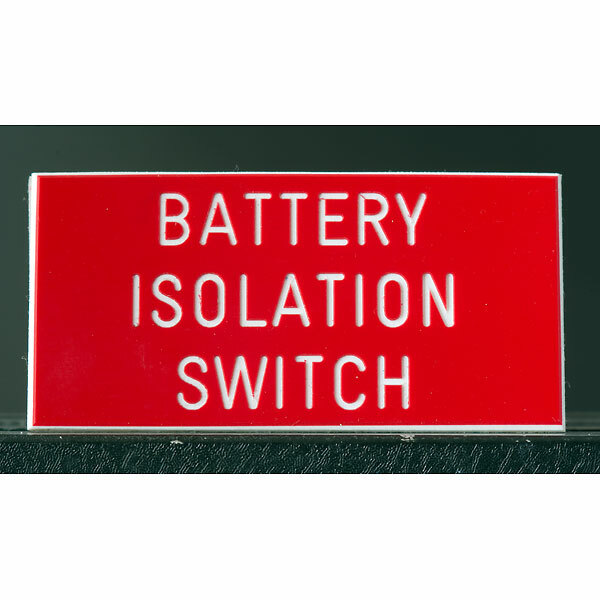 Battery Isolation Switch Sign. Various colours available. This standard battery isolation switch sign qualifies for free postage, if bought on its own or with other boat signs withe free postage.